Completed and the community's model home. The Sand Key is a New Construction, 3 story townhome with elevator option , is one of 4 models available in Gramercy Court, a new townhome Project in the heart of downtown Dunedin and built by ICON Residential. This home will feature Mohawk Classic Plank Engineered Floors in select areas, 10 Ceilings on main level, open design concept with a Porch and a Balcony. This home also includes Granite Counters, Stainless Steel Appliances and Premium Mohawk 12x24 Ceramic Tile. Semi-custom finish selections are available. Gramercy Court will feature an authentic Anglo-Caribbean architectural style of historic downtown Dunedin & is designed around a central courtyard with 2 large oak trees. 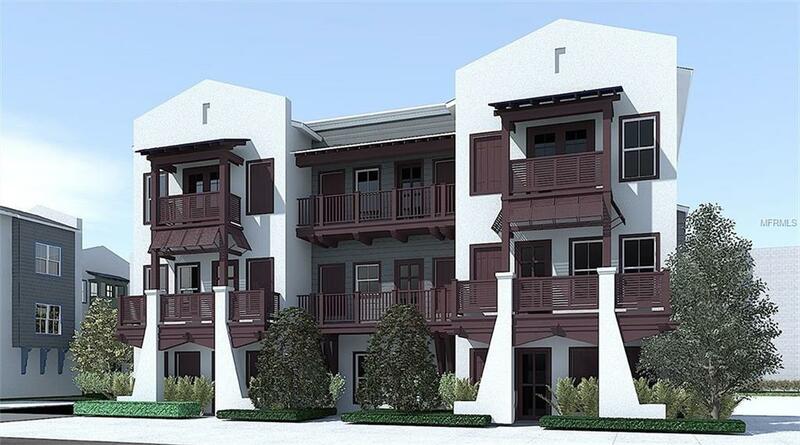 Gramercy Court will feature 66 modern townhomes ranging in size from 1,600 square feet to over 2,275 square feet. The 3-story townhome will feature 2 car garages, balconies, and 10 ceilings. Gramercy Court will also offer packages for optional elevators, home automation, and wireless security and locking. Conveniently located South of Skinner Blvd. and just north of Main St. Gramercy Court offers incredible convenience and accessibility to the best shopping and dining Downtown Dunedin has to offer.